Her research focuses in the areas of highway and pavement engineering, geometric design, traffic safety, road safety assessment, and accident data analysis. Her expertise also involves highway materials and construction, pavement design and analysis, and asphalt concrete mixture design. Currently, she is a manager of Thailand Accident Research Center (TARC) at the Asian Institute of Technology (AIT). 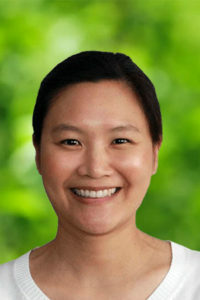 She has been involved in several research projects in traffic safety and accident data analysis supported by Thai government and other research organizations, and she has been served in national and international committees on the prevention and reduction of road accidents. Mofadal, A.I.A., Kanitpong, K., and Jiwattanakulpaisarn, P., “Analysis of Pedestrian Accident Costs in Sudan by Willngness-To-Pay Method,” Accident Analysis and Prevention, Vol. 78, pp.201-211, 2015 (IF = 2.571). Ketphat, M., Kanitpong, K., and Jiwattanakulpaisarn, P., “Application of the Theory of Planned Behavior to Predict Young Drivers’ Speeding Behavior,” the Journal of Eastern Asia Society for Transportation Studies, Vol.10, pp.2031-2048, 2013. Charoentham, N., Kanitpong, K., and Bahia, H.U., “Asphalt Binder Grading System by Indirectly Estimated Parameters and Relationship to Performance Related Properties of Asphalt Mixture,” the International Journal of Pavement Research and Technology, Vol.6, No.3, pp. 205-216, 2013. Kanitpong, K., Jiwattanakulpaisarn, P., and Yaktawong, W., “Speed Management Strategies and Drivers’ Attitude in Thailand,” the International Association of Traffic and Safety Sciences (IATSS) Research, Vol.37, Issue 1, pp.39-48, July 2013. Charoentham, N. and Kanitpong, K., “Development of Proposed Performance Grading System for Asphalt Binder used in Thailand,” the Asian Transport Studies, Vol.2, Issue 2, 2012. Kangkhajitre, C. and Kanitpong, K., “Effect of Aggregate Characteristics on Texture and Skid Resistance of Asphalt Pavement Surface,” the Journal of Eastern Asia Society for Transportation Studies, Vol.9, pp.1210-1224, 2011. Jiwattanakulpaisarn, P., Kanitpong, K., and Suriyawongpaisal, P., “On the Effectiveness of Speed Enforcement in Thailand: Current Issues and need for Changes and new Approaches,” the Transport and Communication Bulletin for Asia and the Pacific, No.79, 2009, pp. 41-60. Ponboon, S., Islam, M.B., Boontob, N., Kanitpong, K., and Tanaboriboon, Y., “Contributing Factors of Road Crashes in Thailand: Evidence from the Accident In-Depth Study,” the Journal of Eastern Asia Society for Transportation Studies, Vol.7, 2009, pp. 1958-1970. Kangkhajitre, C. and Kanitpong, K., “Laboratory Investigation of Factors Affecting Skid Resistance of Asphalt Mixtures for Road Pavements in Thailand,” the International Journal of Pavements, Vol.7, No.1-3, 2008, pp. 88-95. Rungruangvirojn, P. and Kanitpong, K., “Visibility Measurement on Asphalt Pavement for Water Spray Effects,” Technical Notes, the International Journal of Pavements, Vol.7, No.1-3, 2008, pp. 118-119. Islam, M.B. and Kanitpong, K., “Identification of Factors in Road Accidents through In-Depth Accident Analysis,” the International Association of Traffic and Safety Sciences (IATSS) Research, Vol.32, No.2, 2008. Best Research Paper Award for the paper “Warm Mix Asphalt Technology”, The Sixth National Transport Conference, Thailand, 2009.